Name the first 3 things you notice… go! Bigger! Better! Turned up to 11! …It's BACK! THINGS IN A JAR!!!!!! And for those who don't know what 'The Jar' is, just scroll down and have a look at the awesome jar from 2012! 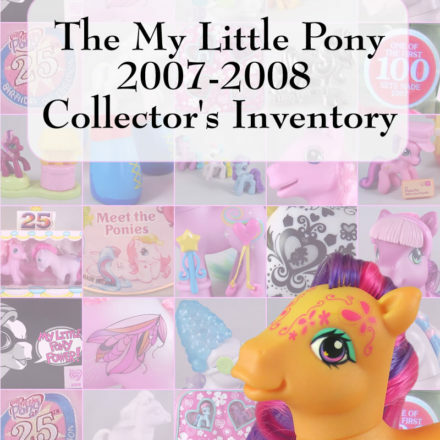 The jar returns in 2014, and all manner of lovely pony goodness will be up for grabs to the one lucky winner who can get the closest guess to how many things are in the jar! WHAT WE ARE LOOKING FOR: AWESOME STUFF. 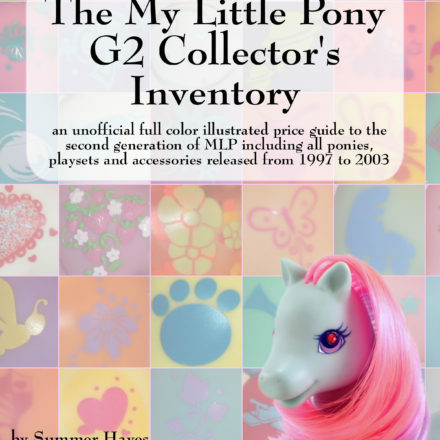 Rare bits of cool G4 merch, awesome G1, G2, G3 merch, G1 Pamphlets and anything that's a little bit odd. G1 Baby Accessories such as cribs, bassinets, strollers, necklaces, teething rings, duck toys, changing tables, bottles, nappies, Glow Worms for FT babies and anything like that would be awesome! G1 Sea Pony and Baby Sea Pony Stuff! Floats would be awesome! Also, adult Sea Pony shells totally fit in whole. 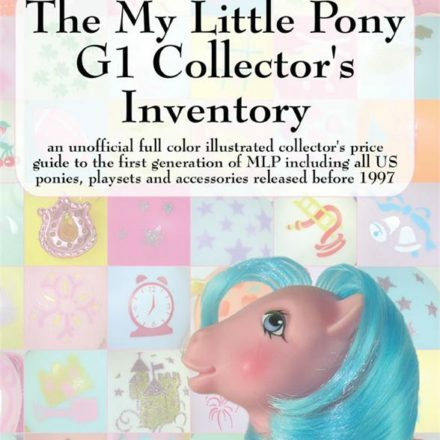 G1 Big Brother, Princess and Rare Pony Accessories: We are DESPERATE for some of these! Hats, bandanas, princess hats, wands, nurse hats, rockin beat guitars etc are super awesome and really get people excited! G1 Princess Dragons, Bushwoolies, Brandy, Duck Soup, G3 and G4 critters etc would all be an amazing addition! Brushes and Combs! We love them!!! Styling sized G4's Seriously, a whole pony can fit in this thing! 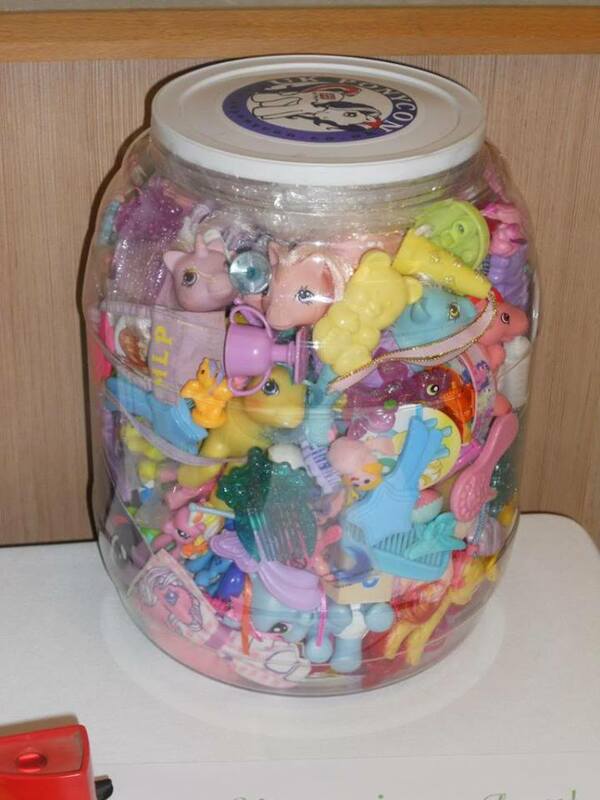 So if you have a cool pony that you would like to put in the jar, drop us a line! Funko Mystery Mini G4's Just because they are awesome and we love them!!! Blind Bag G4's Only the AWESOME ones – LOL. 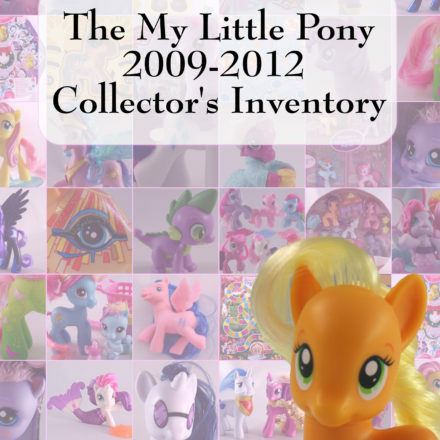 Honestly, we don't need any of the Mane 6* G4' My Little Pony CCG Booster packs, desk boxes/sleeves and rare/foil cards! WHAT WE'RE NOT LOOKING FOR: Common playset accessories: Things like G1 show stable, grooming parlour etc. The same goes for G3 and G4 Playset accessories. G1 Common Pony Wear: Please, no legwarmers, shoes and other really really common pieces. The baby ponywear would be good, and full sets that we can bag up and put in there, but no loose random pieces please! Anything broken: I know I don't have to tell you guys this as you guys are smart.Some inspiration for all of us – a jar of the past! 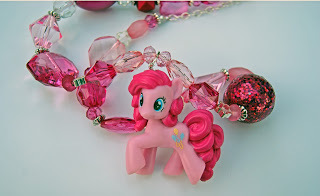 – Feast your eyes on the pony-tastic jar goodness from UK Ponycon 2012! If you would like to donate to us please pm our wonderful lisey on the board or drop an email in so we can give you the details! Everything and anything to do with the world of PonyCon! What does custom bait mean?